Our theme this week was picked by a couple of our regular contributors : ROB FROM AMERSFOORT over at ROBS WEBSTEK and BOB SCOTNEY at BOB'S HOME FOR WRITING. 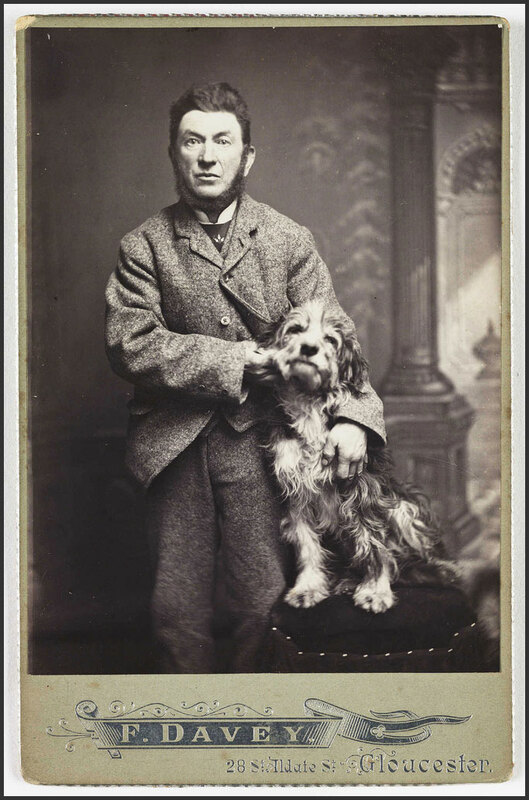 The theme is not men with silly beards (although you can always go with that one if you want - we are libertarians over here on Sepia Saturday), but DOGS. So we are asking for pictures of dogs, pictures of people with dogs, pictures of people who look like dogs. pictures taken by dogs - or what have you. My featured archive image comes from the collection of the National Media Museum (available via Flickr Commons) and dates from around 1900. Taken by the Gloucester photographer, P Davey, it is entitled, appropriately enough, "A Man With Dog"
You don't have to follow the theme : all we ask is that whatever you post is old and interesting. Post your posts on or around Saturday the 4th February 2012 and once posted add a link to the Linky List below. Leave a comment so we know you are in and try and get around as many other posts as possible. Simple really : like a walk in the park. With a dog, of course. Thanks for all of your theme suggestions last week: we should have enough to get us through the cold winter months. I will work my way through them in the coming weeks. This week I am taking a theme from the list provided by STEPH over at LADIES IN MONOCHROME : Theatre. The photograph is taken from the collection of the Cheshire County (New Hampshire) Historical Society and comes, as usual, via Flickr Commons. 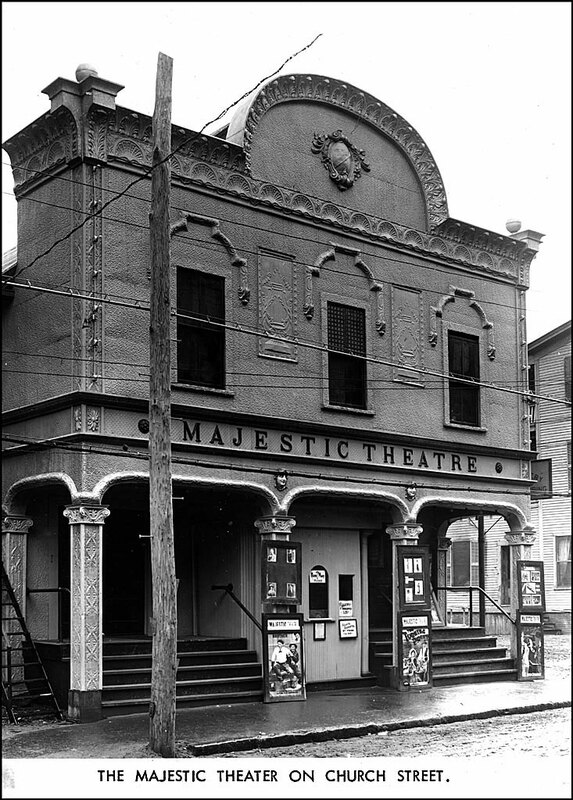 Although it is called the Majestic Theatre, it seems that the building was only ever used as a cinema and at its height it boasted that "two miles of film were shown at each performance" to the people of Keene and Cheshire County. But if you want a theme for Sepia Saturday 110 you can put on your own performance with any interpretation of theatre you care to choose. Just post your post on or around Saturday the 28th of January 2012 and add a link to the list below. All I need to say now is, "Tickets please". Well hats seemed to get everybody going last week: it was one of our most popular themes ever. In commenting on Jinksy's post, Little Nell suggested a doll theme for Sepia Saturday. It seemed like a good idea to me, so here we are. 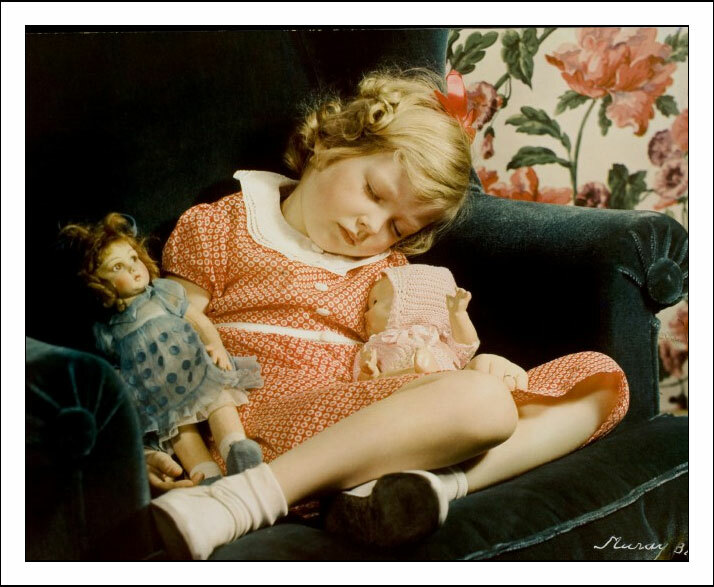 This delightful 1937 picture was taken by the American photographer Nickolas Muray and is part of the George Eastman House Collection available via Flickr Commons. If you are following the theme - remember, you don't have to - all you need to do is to post your old image and your new reflections on or around Saturday the 21st January 2012 and link to the list below. Perhaps we could try opening out the theme suggestion for future weeks as well. Why not suggest a theme or two when you comment on this call and I will try and make use of your suggestions in the weeks to come. Just give me a possible theme and I will try and root out an archive image to illustrate it with and that can serve as our call. And I will incorporate a nice big link back to the blogger who suggested the theme. I have also been busy updating the blogs listed on our side panel and, hopefully, it now incorporates all our current participants. But if I have inadvertently missed you out please let me know and I will correct things as soon as possible. So, that's it, start rooting through your old images and make sure that we have a dolly mixture of a week next week. 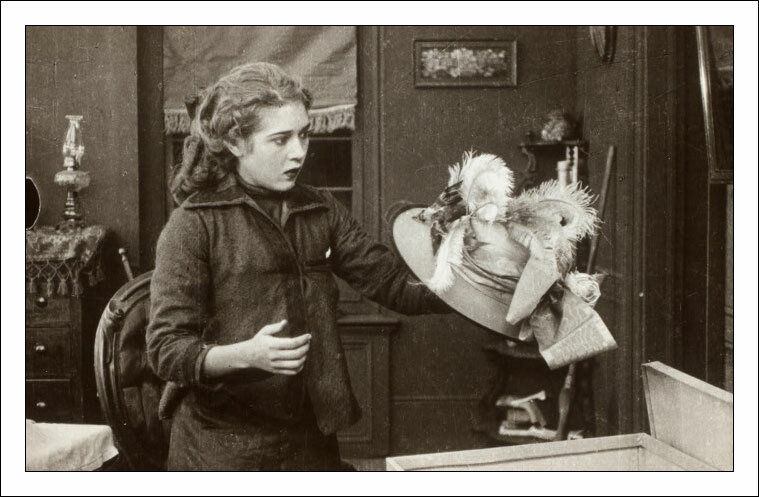 I am not saying anything about my chosen old image for this week other than it is a still from the 1912 silent film "The New York Hat". The image comes courtesy of the Billy Rose Theatre Collection at the New York Public Library and, as always, via the magnificent Flickr Commons initiative. Other than that you can make of it what you will - pick your own themes, find your own prompts, follow you own cues. It is what you have all been doing so well for the last 107 weeks. All we ask is that your posts have some kind of old image within them, that you post them on or around Saturday the 14th of January 2012, that you add a link to your post to the list below, that you link back to the Sepia Saturday Blog, and that you try and visit as many of the other participants as you can manage. What could be easier? It's a piece of cake. No it's not, it is a hat. A thousand apologies : no, two thousand and twelve apologies. Here we are, post Christmas break, the icing sugar not having set on my New Years' Resolutions, and I am late in putting the Sepia Saturday call up. And I haven't revised the Sepia Saturday Blog, and I haven't been around to visit all those Sepia Saturdayers who posted over the holiday season. I have few excuses, so I will draw a line in the sand and shave the fur of my angora rabbit. The rabbit in question features in a photograph by the Australian photographer Sam Hood called "Girl With A White Angora Rabbit". It dates back to the 1930s and features in the Flickr collection of the State Library of New South Wales. The year may have changed but the rules (or rather, lack of rules) have not. Post your post on or around Saturday 7th January 2012 and link to the list below. If you want you can identify a theme from the above image and follow it, alternatively you can follow a theme of your own choosing. 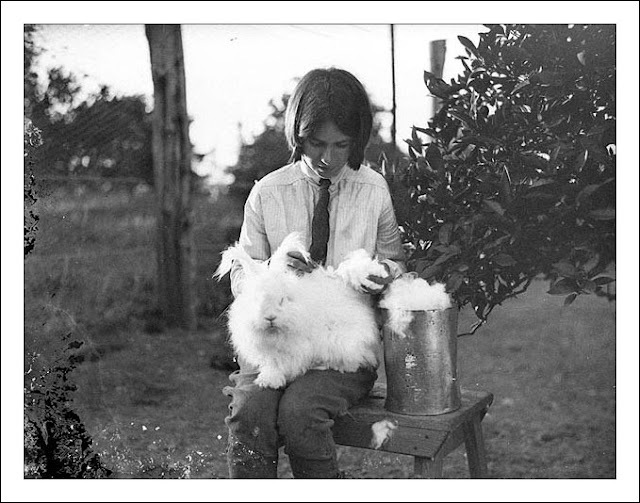 Shave the excess fur off your photographic memories and help push Sepia Saturday into 2012.